Kota Ibushi, one of the top performers in the world over the past decade, will be out of action indefinitely due to a herniated disc. Both New Japan and DDT, the two companies he's under contract two, made the announcement today. 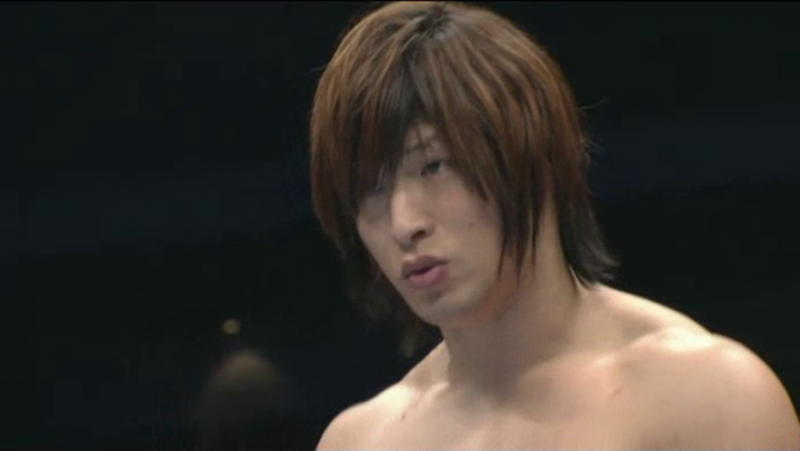 Ibushi missed his weekend DDT shows and the rumor was that he had a serious health issue. At the press conference, it was announced that even though he won't be wrestling for a while and his New Japan contract expires in January, that he will be renewed by the company even though he won't be wrestling soon. New Japan made the announcement that he would be out of Saturday's Power Struggle show. DDT announced he would be out of action "a long time." Ibushi & Hiroshi Tanahashi were scheduled to face Kazuchika Okada & Kazushi Sakuraba on Saturday's show at the Edion Arena in Osaka. The match was to set up Sakuraba vs. Ibushi, although there were issues with that match taking place given Sakuraba's MMA fight with Shinya Aoki on 12/27 for Rizin. A replacement is expected to be announced shortly. Katsuyori Shibata is not booked on the card so he would make sense. Bryan & Vinny Show 4/5: TNA Impact with Kurt Angle vs. Bobby Lashley, New Japan on AXS with AJ Styles, tons more!